BLOG - BETWEEN A ROCK & A HARD PLACE: Tony Joe White New LP 'Hoodoo'. 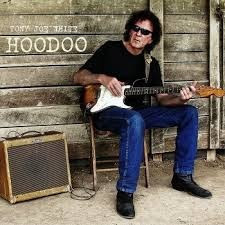 Tony Joe White New LP 'Hoodoo'. It would be great to see Tony Joe back in Scotland playing for Mundell Music again! There were some amazing shows over the years.......we could also arrange some Golf again for him! For All Gigs please Click Here! The Outside Track Goes Backstage!